Blow up hand mittens that do no harm. A kind of soft boxing toy. 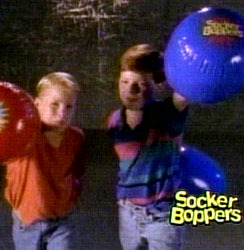 Socker Boppers are inflatable boxing gloves that are safe and fun.